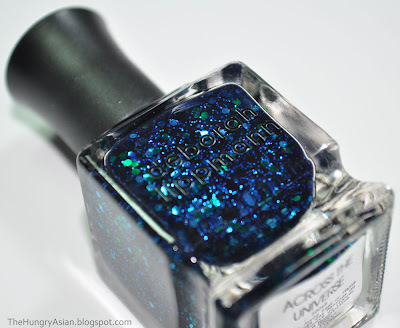 This looks so gorgeous just sitting in the bottle! Across The Universe 3 coats with only 1 coat of Seche Vite topcoat. I was surprised I did not need to sandwich this manicure, I applied my 1 coat of SV and it stayed super smooth and glossy. 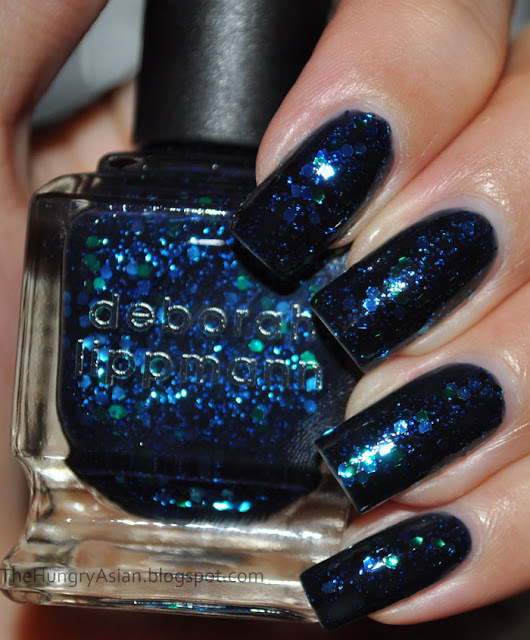 I can't stop staring at my nails it is quite stunning in person. I think the name is perfect too. I opted for 2 thin coats and a thicker third coat. I didn't have any problems with the hex glitter placement, I just had to push a few stray ones from my tips so there wouldn't be an sharp pieces sticking out. A bigger shot to see more detail. 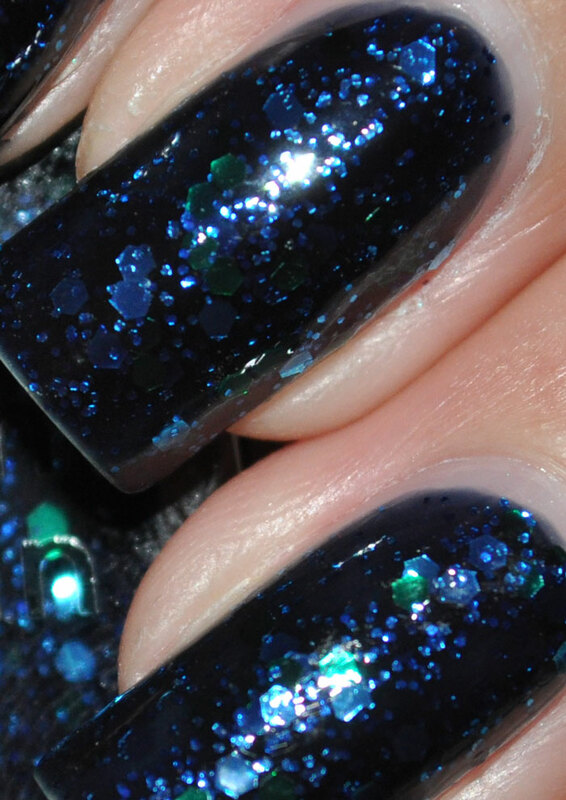 There is blue and green large hex glitter with small blue glitter in a dark navy blue jelly base. This is on pre-order status at the Lippmann site which will ship on 8-13 it says and retails for $18.00.